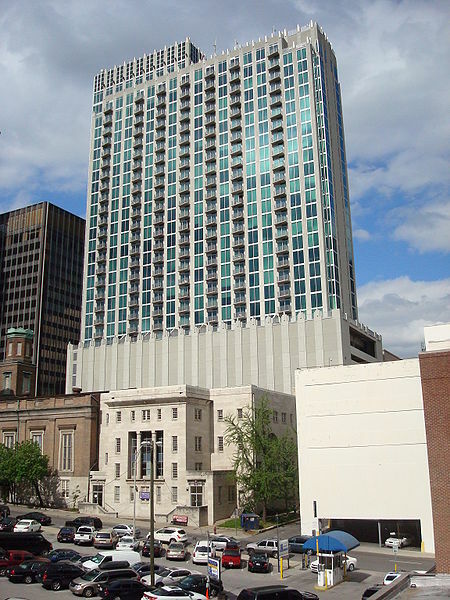 Nashville is filled with great condo buildings offers plenty of amenities and amazing living spaces. However, some of the buildings provide better amenities than others. When you’re looking for a Nashville condo building with great amenities, you need to know what you’re looking for. Decide which amenities are most important before you start searching. Here are a few of the top condo buildings in Nashville with amazing amenities. Maybe one of the best choices for active amenities, 505 Nashville offers a tennis court, bocce ball court, pickleball court, lounge, and saltwater swimming pool. The pool deck is very large and includes private cabanas. Pet owners will love this building because of the on-site dog park, as well. 505 Nashville also offers a private media room, a wine tasting and storage room, a game room, a library, a grilling area with a fire pit and much more. Residents will gain access to private garage parking and plenty of great services including dry cleaning services. A condo building offering plenty of amenities, Encore Condos provides a swimming pool with a sundeck, fitness center and 24-hour concierge service. However, the amenities don’t stop there as the building also offers a community kitchen, outdoor lounge and a media room with stadium seating for residents to enjoy. Residents also enjoy access to Plasma TVs throughout the building and free internet. If you enjoy billiards or other games, you can take advantage of the gaming area. When the fall and winter roll around, residents can still enjoy going outside with a fireplace and grill to enjoy. Of course, it’s also convenient to have ground-level retail, even though it’s not really an amenity. One of the most popular condo buildings in Nashville, The Viridian offers a desirable location with a fitness center, a rooftop swimming pool, and a lounge. Residents also enjoy a full sundeck, media room and theater, poolside grill, lounge space, 24-hour concierge services and many other great amenities. Another high-rise building in Nashville with plenty of great amenities, the Icon in the Gulch offers two fitness centers, multiple outdoor lounges with fireplaces and garage parking. The building also has a courtyard with a swimming pool free Wi-Fi throughout the common areas, a resident lounge, a pool table and high-speed elevators. Residents also enjoy services, such as 24-hour door service and 24-hour concierge services. Another luxury condo building with plenty of amenities, Adelicia offers an Olympic size swimming pool on the beautiful and large rooftop deck. There’s a full fitness center covering 3,000 square feet, outdoor seating with a fireplace, a private park for residents to use and plenty more. This condo building also offers on-site parking and 24-hour security. Finding the right condo building in Nashville is only difficult because of all the great choices. These five condo buildings offer plenty of great amenities and should be high on your list. Make sure you hire the right real estate agent as the right agent will be able to better match your wants and needs with the right condo building in Nashville.